I don’t know was it was, but Monday night at Room 5 I kept finding myself fighting that feeling of wanting to cry (the good kind of crying…mostly). 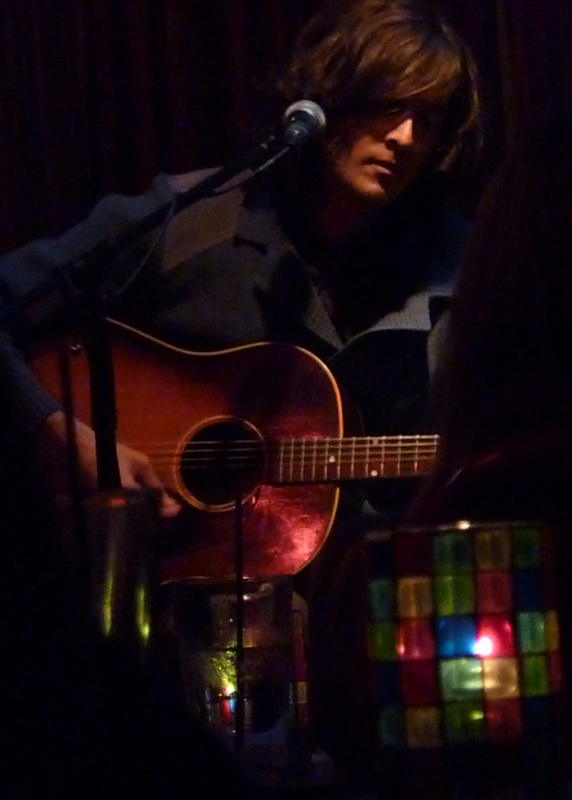 It could have been the fact that I was so burnt out and therefore emotionally vulnerable, or maybe it was listening to LA’s beloved Jay Nash sing one last song, his dedication to California, before saying goodbye to the state as well as the institution he started (Songwriters in the Round at Room 5). It could have just been the outstanding talent of this week’s round of songwriters that bored straight into my heart and touched it so deeply. This week’s group featured Joel Eckels, Sally Jaye, Kenneth Pattengale, and the man who very well may end up my favorite act of the year, Joey Ryan. How I go from Nico Vega one year to Joey Ryan the next is a puzzle even to myself….but I digress. I must say that I’m finding the combination of Kenneth Pattengale and Joey Ryan to be endlessly entertaining. Someone suggested they were like Simon and Garfunkel and Joey immediately balked at the idea, relegating Kenneth to the role of Garfunkel. To me, this would be a complement of the highest order. As much as I enjoy both Joey and Kenneth, I think I’m started to like them even better when they play together! They keep performing as a duo for “practice” for an upcoming series of shows billed as An Evening with Joey Ryan and Kenneth Pattengale (and not, sadly, Ryan Pattengale). This includes a stop at McCabe’s in Santa Monica on April 24th. Someone should really record this show and make a CD (especially since I will be out of town). I will again say that this Songwriters in the Round event is my new favorite way to listen to some great artists. It’s like ice cream. It’s always the first few bits of ice cream that are the best…but after you’re about half way through the carton, you keep eating more out of habit…or a memory of what those first few bites tasted like. But if you combine different flavors of ice cream in the same bowl, the immense high from those first couple bites is prolonged as you go from one variety to the next, the contrasts reminding you just how amazing each individual flavor is. But seriously, I feel that going from artist to artist really helps to keep the emotional intensity at its peak. The only downside is that the evening is over and it really feels like it has just begun. Posted in Show Recap-LA and tagged ice cream, Jay Nash, Joel Eckels, Joey Ryan, Kenneth Pattengale, Kristen, McCabe's, nico vega, room 5, Sally Jaye, Santa Monica, Simon and Garfunkel, Songwriters in the Round on April 15, 2010 by Kristen. Thanks Kristen, this was lovely to read. Love the recording of Jay’s Golden State Goodbye! Jay and Joey are my very favorite singer/songwriters. Wow. Thanks Kristen. 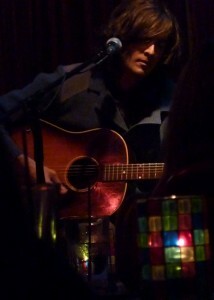 Thanks for writing about the monday night songwriters in the round night. We really need more people spreading the word. The nights are too good to not have a full house every week. We had another great one tonight! We appreciate your suppport. I am also a big fan of the Joey Ryan Kenneth Pattengale duo. That was definitley an amazing night. See you soon! I was there that night too almost in tears when Jay sang “Golden State Goodnight”. You said it perfectly my feeling about Room5 & the awesome artists that play there. I am too a big fan of Joey, Jay & Joel..but also have discovered artist that I would never ever know and now love if not for Room5. Thanks for this article.